Keep on keeping on Jenn. Going to ABQ in July…. before Del Mar racing season starts so my roommie can get a roommate for the season. Yeah, … I love mom and understand it ain’t easy for mom. And that doesn’t make it easier for the rest down the chain. 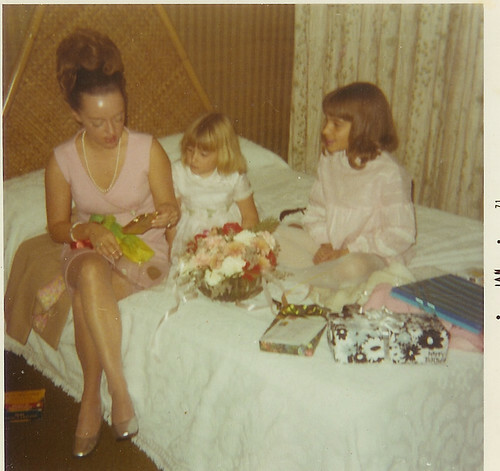 Still, few of us doubt Mom’s love… (we may critique her skills) … and always we love the love. This is a fabulous tribute to your mom and to her enduring spirit, and to yours. The card: “Great, fantastic…” — that spells you, too. And “thinks”: what an amazing choice. I had never thought of my mother or any elder as a thinking person. It was way past my childhood (the age when you wrote your card) that I began to consider the verb as an essential tool for living.